Let Lesar UK print your personalised ID cards, delivered in 2-3 working days and from only £1.25 each. Access your online dashboard today to see the status and details of your previously ordered cards. 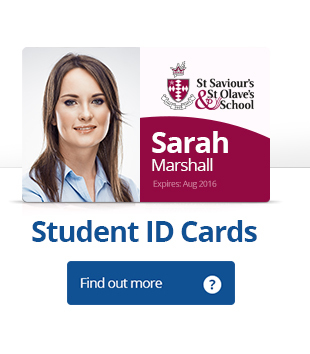 We have been supplying school ID cards for over 15 years, each card can be personalised with your school logo, bearers name and job title. Include as many fields as you require and the whole process can be managed online using your easy to use dashboard. We have eight ways to make your staff id cards more secure. Great for your students, easily identify students from visitors. We can redraw your logo! 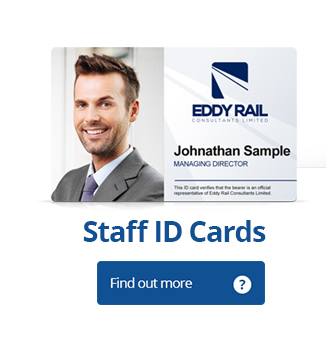 Getting your staff ID cards printed couldn’t be easier, the majority of companies going for a service like ours are small with around 10 – 20 staff however, lately we are producing staff ID cards to companies with anything up to 200 staff members. A lot of companies get put off the idea of getting ID cards printed by an external company as they are unsure how the service works and not to mention the costs involved, this is what we want to change. 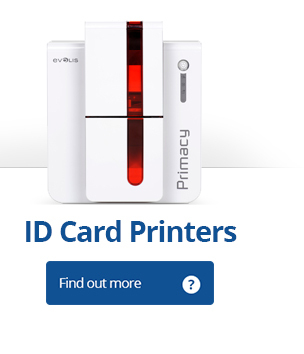 With ID cards, being printed every day and over 1000 cards sent out every month we believe we can offer not only the best prices but also the best service. Click here for reviews. We begin the process by asking how many cards you require, from this we will come to an arrangement were you can order approximately 10 more cards than you initially need. This is great for companies with a frequent change in staff or for those who lose their ID cards. We then ask for your company logo and a brief description for what you want your staff ID cards to look like, this can all be sent to us via email. We then take your logo and start designing your cards. Within two to three hours or even quicker in some cases, we will have a colorful yet professional ID card design; we will then send this across to you for your approval. You may be thinking what format you need the photos in, On the other hand, how do I get the photos across? After the design stage it is all about getting your photos across to us, you can use our online portal to upload your photos and see your final design, once received, we will begin production for your staff ID cards. As for the format, we can take any format sent, however the traditional image format is JPEG. See below how photos should appear on staff ID cards. Once everything has arrived and we have your photos and design complete we then begin printing your staff ID cards, delivery normally takes around 4 – 5 days but we can often get them to you sooner if you wish (additional charge applied). What happens to the remaining cards? We keep those cards on file until you need them, i.e. in a couple of weeks time if you have a requirement for a staff id card simply send us the photograph and we will print and pop in the post, 1st class of course.